What a lovely fabric and pattern! 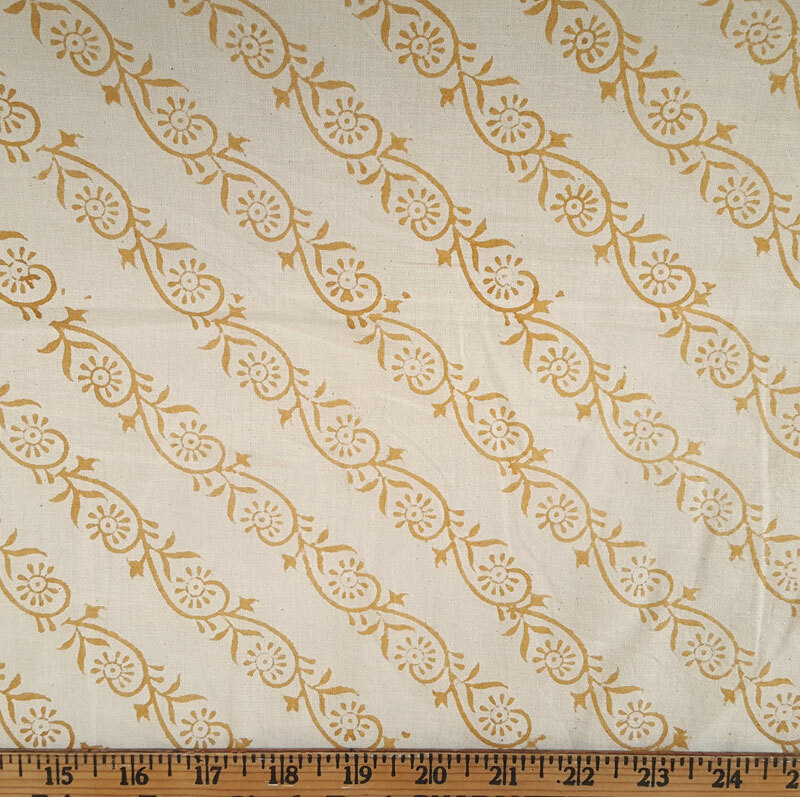 This printed cotton has a lovely diagonal floral stripe design of block printing. 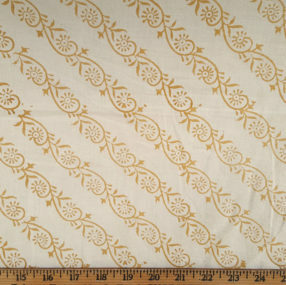 Perfect for an 18th century kerchief, 18th century or Regency dress.